During the February board meeting, the APS Board of Education approved the 2017-18 district calendar. Monday, Aug. 14 will be the first day of the 2017-18 school year, which will conclude on Wednesday, May 30, 2018. 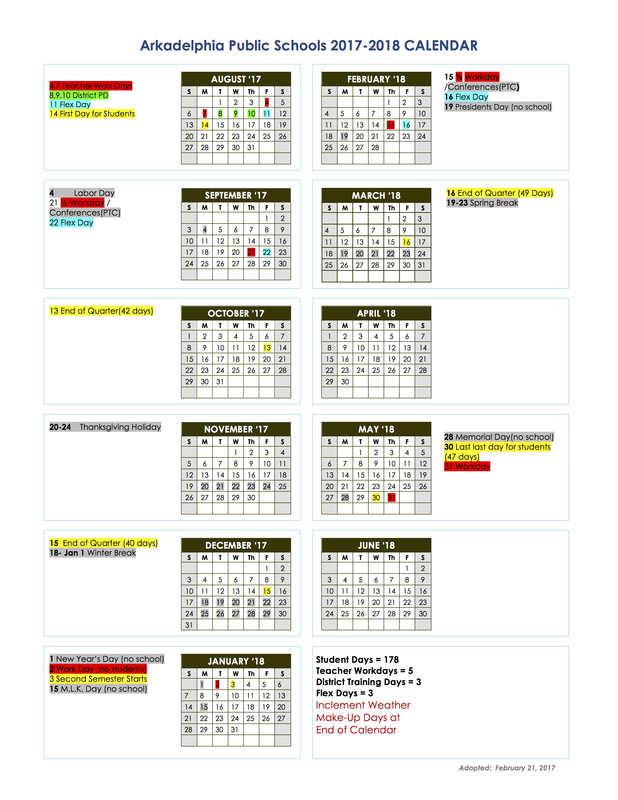 Other highlights of the calendar include Thanksgiving Break from Nov. 20-24, Christmas Break from Dec. 18-Jan. 1, Spring Break from March 19-23, and holidays off including Labor Day, Martin Luther King, Jr. Day, and Presidents’ Day. Any days missed for inclement weather will be made up beginning May 31.